This is the 9th yearly edition of the Parker’s Heritage Collection (PHC). This year’s release consisted of 141 barrel batch. We estimate 18,469 bottles produced, which would make it the largest PHC release yet. 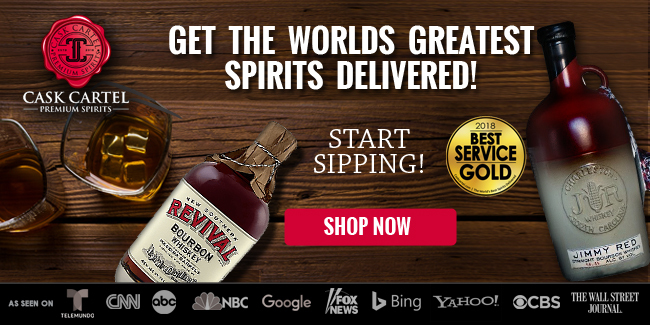 For every bottle sold, Heaven Hill will contribute $5 to ALS research and treatment in honor of Parker Beam. A gentle mix of maple, leather, and pine lie underneath an umbrella of pronounced oak. It’s surprising how much oak is coming off of the nose for a whiskey that’s been aged 8 years. At the same time, I don’t feel it overshadows any of the other aromas. In fact, they all mingle quite well. Much of this has to do with the oak having a cool, almost mintiness to it. This creates an interesting effect of the oak notes being strong, yet mellow at the same time. This is definitely one of the more unique noses on a whiskey I’ve smelled in some time. 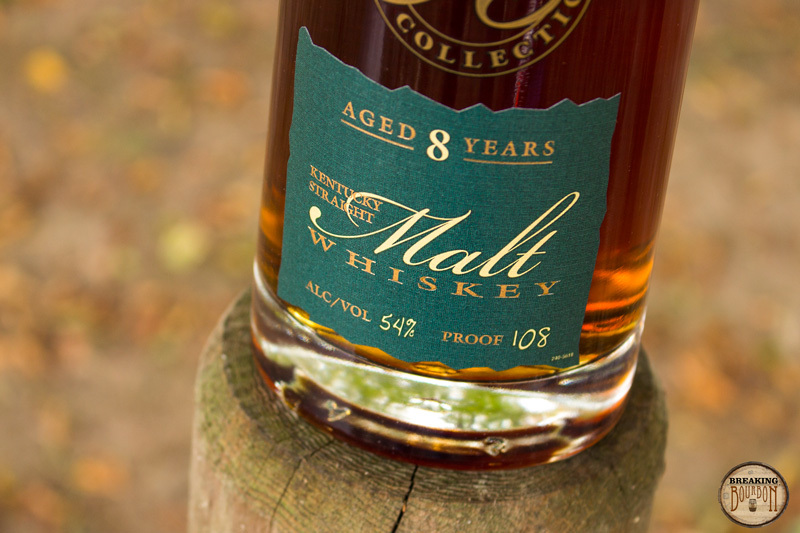 If you haven't had a lot of experience with American malt whiskeys, this one might be a little bit of a shock for you. 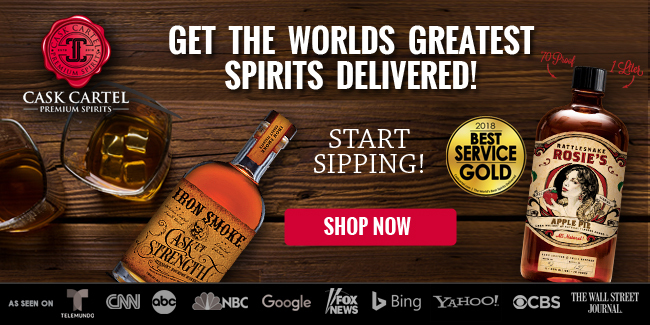 While it has flavor similarities to bourbon, there’s no confusing the two. Light notes of toffee and butterscotch are present alongside notes of grass and cedar. Even though the mashbill consists of 65% malt, the sweetness from the corn still pulls through. This creates an interesting interplay between the sweet and oak notes. Overall the palate’s flavors are on the mellow side, which makes it very drinkable, though I do wish it had more richness in its flavors. It might not be a very complex palate, but all of the flavors do an ample job of standing out on their own. At 108 proof, the finish is surprisingly smooth and very drinkable. It rapidly expands and contracts in your mouth and then lingers for a good amount of time afterwards. Oak once again dominates, but the other flavors from the palate blend together and help counter the oak’s at-times brashness. This is everything Forged Oak wanted to be but failed to deliver. It’s a nice oak-foward finish with just the right amount of accompanying flavors to produce a satisfying conclusion. 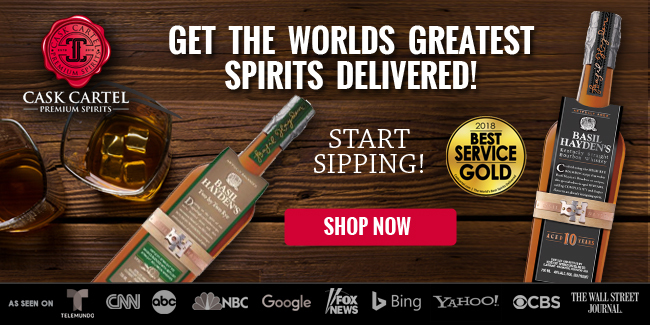 There aren’t many American distilleries releasing malt whiskeys in the States with Stranahan’s and Balcones being the most well known. More often than not they are from craft distilleries trying to make a name for themselves by releasing a unique product to the market. 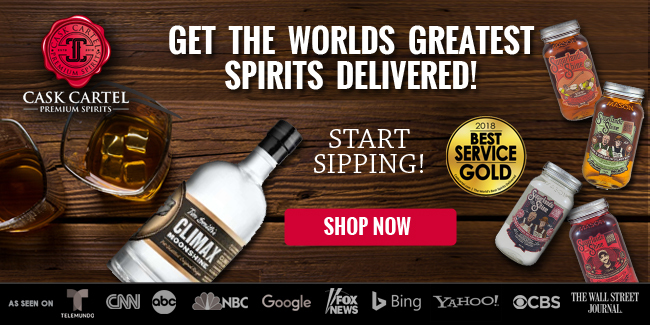 The main complaints levied against them are the whiskeys’ young ages, lack of developed palate, and inadequate oak notes in their flavor profiles. 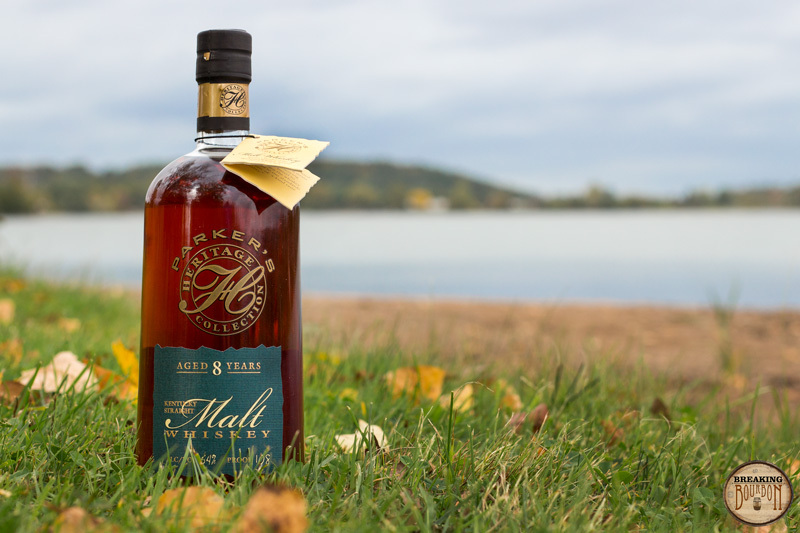 When Heaven Hill announced earlier in the year that the next release in their celebrated Parker’s Heritage Collection would be a malt whiskey, it was certainly a shock to most. 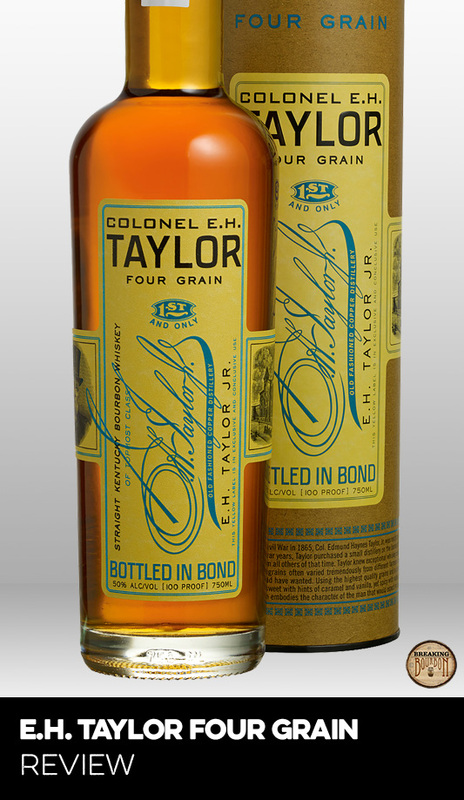 Many enthusiasts expected this next iteration to be a rye whiskey, as the collection is known for variations on the company's existing products. 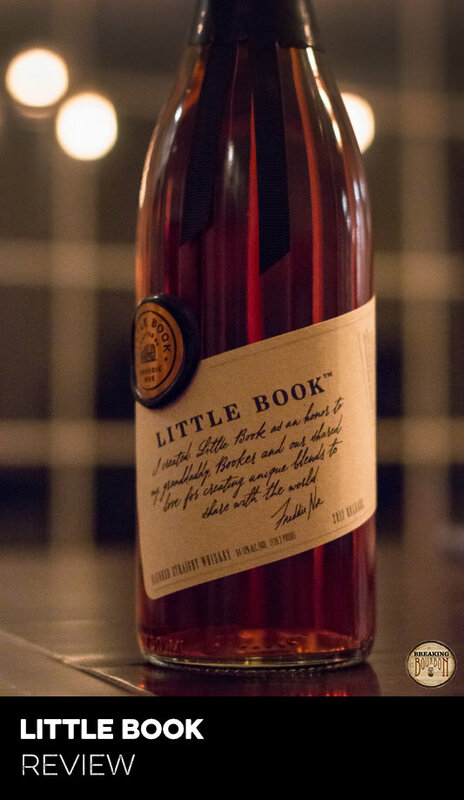 So to have one of Kentucky’s big boy distilleries announce a malt whiskey, it was instantly greeted with puzzlement and worry that this year’s bottle wouldn’t live up to the collection’s high standards. 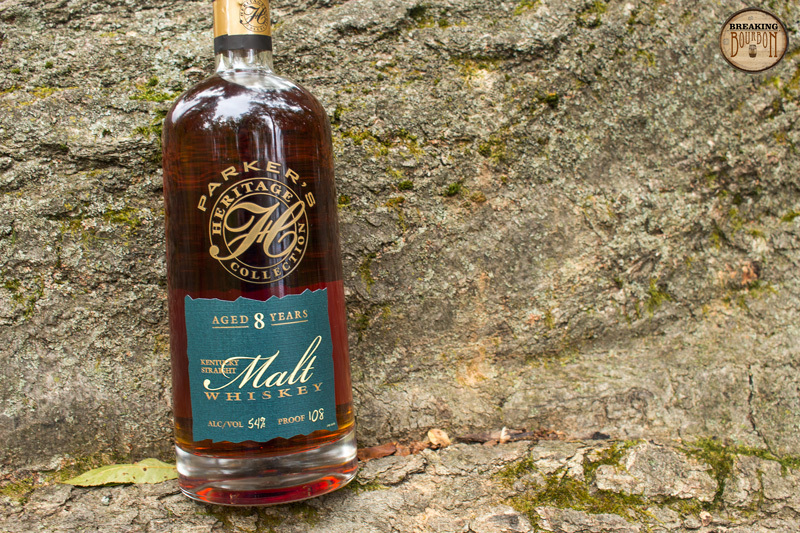 If American malt whiskey makers use this year’s Parker’s release as a benchmark for their own products, whiskey drinkers will have a lot to celebrate. This is one of the more genuinely unique products to come out on the American market in some time. A lot of this currently has to do with the lack of depth in this particular market segment. 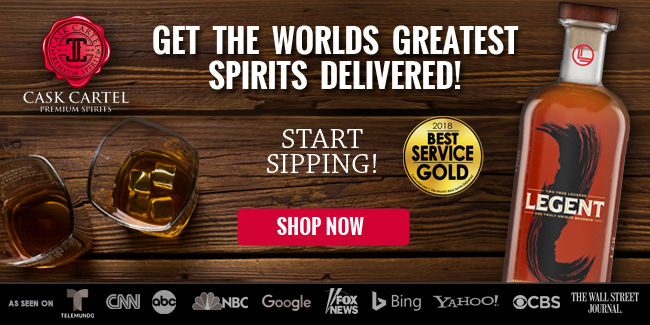 There’s simply not a lot of high(er) aged American malt whiskeys for sale. Having a mashbill consisting of 65% malt and 35% corn also provides a best of both worlds flavor profile that will taste familiar and unusual at the same time. When you then include the whiskey’s intriguing interplay of sweet and oak notes that also mixes in earthy and minty notes, it’s hard to say you’ve tasted anything like it. The Parker’s Heritage Collection is hands down one of the most interesting releases each year. You may not love every single release, but the company makes it very hard to complain about the overall quality. I never get the feeling with this collection that I’m paying to taste test an experiment some master distiller came up with on a whim. There have been too many products over the past few years that felt like they were in-house experiments that should have never seen the retail shelves. You may not love every Parker’s Heritage Collection release, but you’d be hard pressed to call them subpar in the quality department. That said, the brand’s $100 MSRP is right on the money as what these releases should cost. Depending on how much you love the individual release, you either feel like you got your money’s worth or you simply don’t care for the particular release. Never do you feel like you got ripped off with a Parker’s Heritage Collection special release, and that’s a rarity these days. 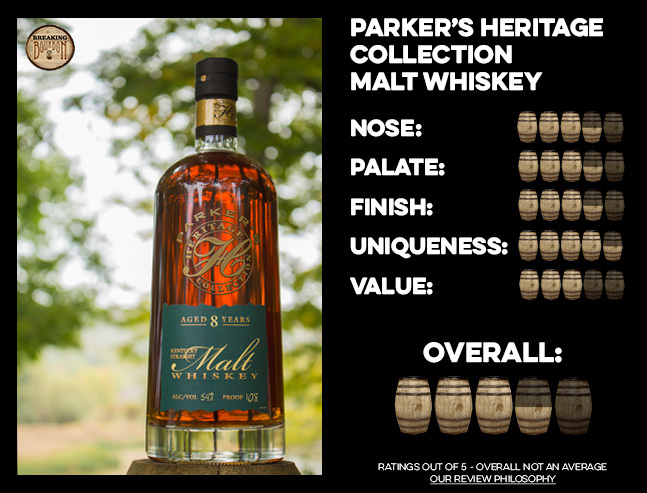 With many of the American malt whiskeys on the market falling in the $50-$75 range and aged 2-5 years, the price for this Parker’s release is certainly within the realm of acceptability, especially when you factor in its age and overall quality. 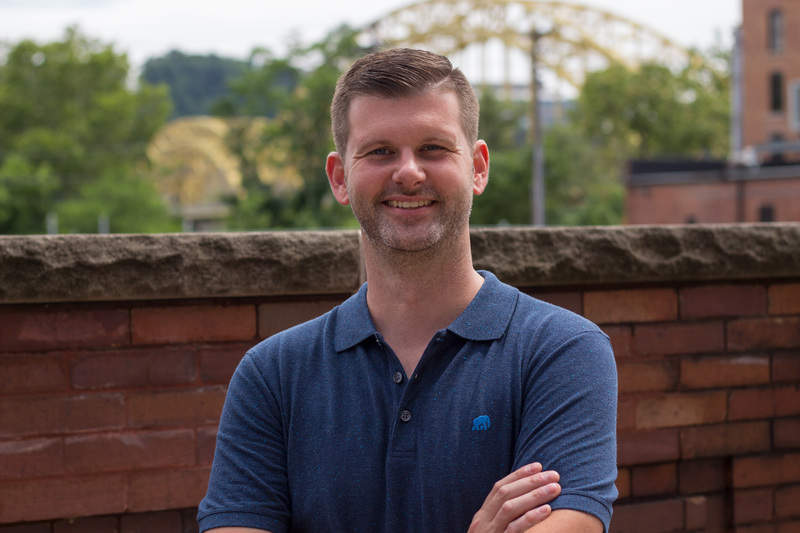 While this easy to drink malt whiskey lacks a certain refinement and balance, if this is where the American malt whiskey market is headed, full steam ahead. 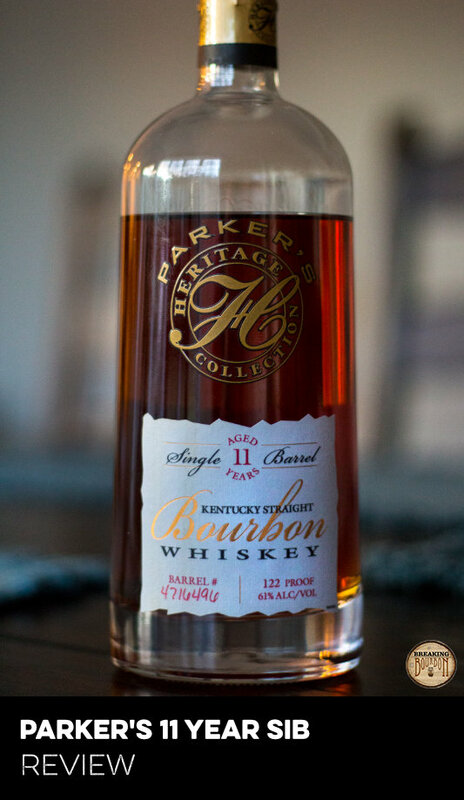 This year’s Parker’s Heritage Collection release isn’t just a slight variation of another whiskey you’ve had. 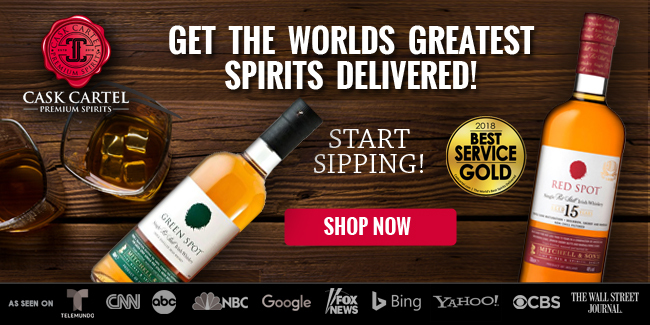 It genuinely tastes different than what’s currently being offered on the market and will therefore have a hard time being loved universally among whiskey enthusiasts. Every few years the Parker’s Heritage Collection throws a curveball. The 5th Edition Cognac Finish and the 6th Edition Blend of Mashbills can both be considered oddballs in the collection. Many will also see this year’s edition as an oddity, but that’s what’s always great about this collection. This is experimentation with a purpose. Year after year the Parker’s Heritage Collection is a high quality product that can be a bit unpredictable in nature, but always worth the trip. While this year’s edition didn’t blow me away like previous years, I’m having a hard time putting my glass down. The whiskey has a pleasant amount of oak influence that isn’t too dry and its sweet side does a good job helping to add some depth and balance. 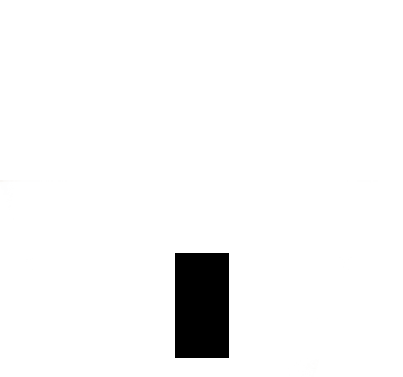 It’s not perfect, but its smoothness goes a long way trying to convince you otherwise.